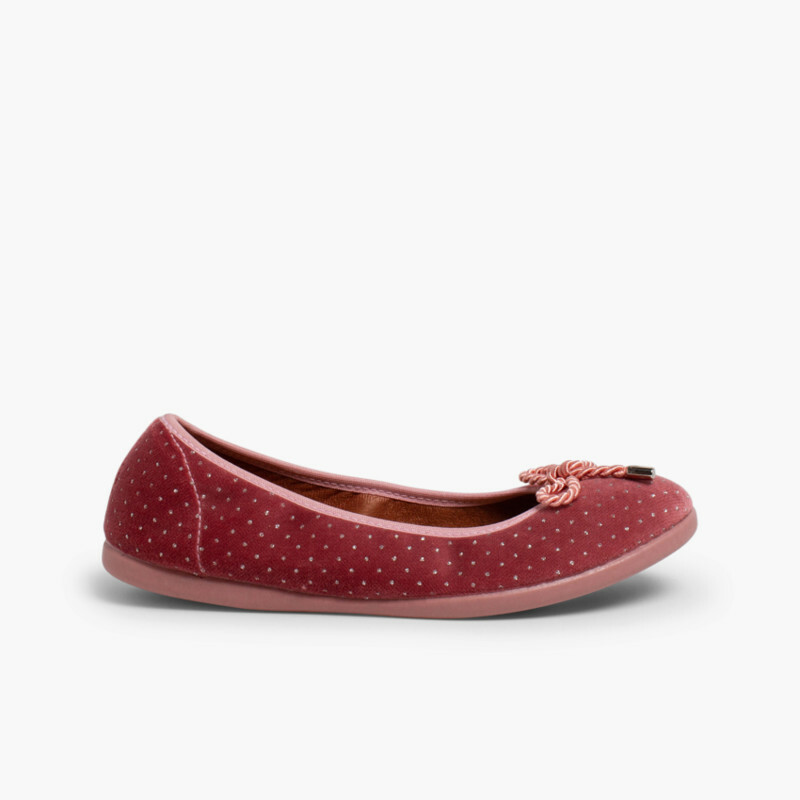 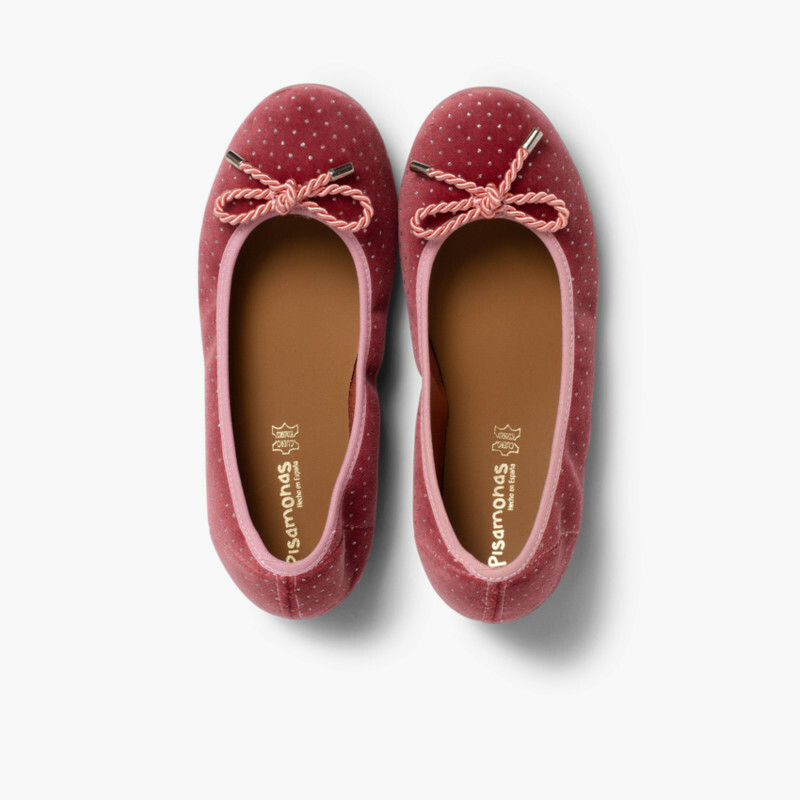 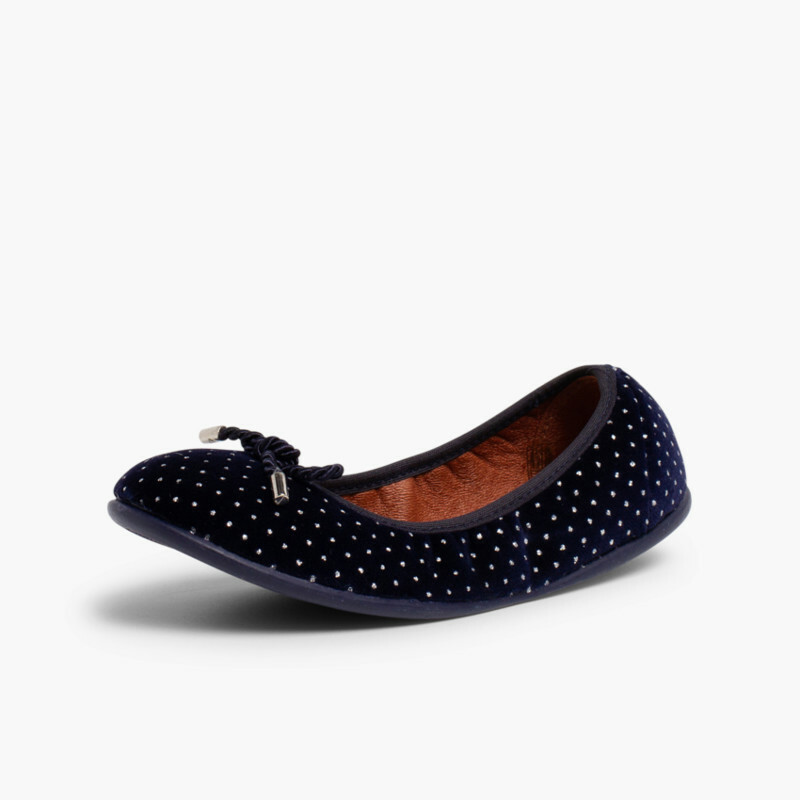 Ballet pumps in velvet with bow and decorated with bright little sparkles, a detail that girls just love. 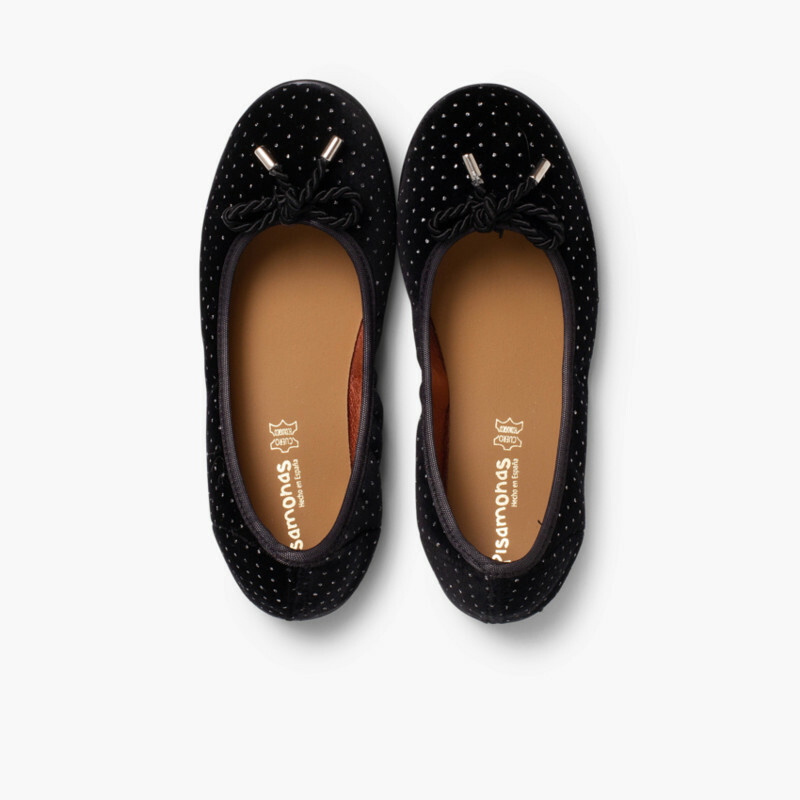 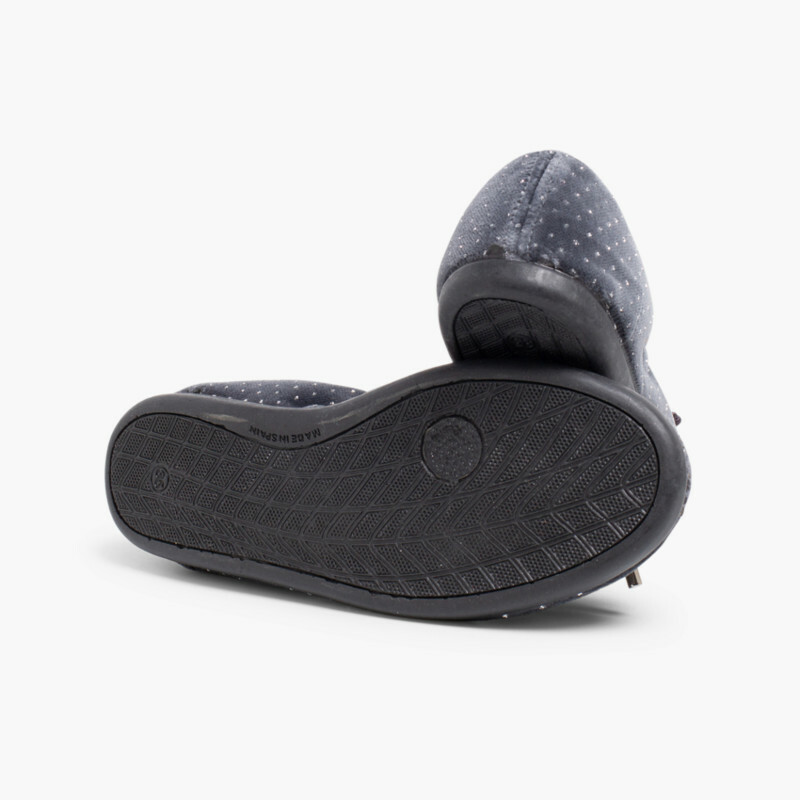 Made in velvet and with insoles of ecologically-friendly leather. 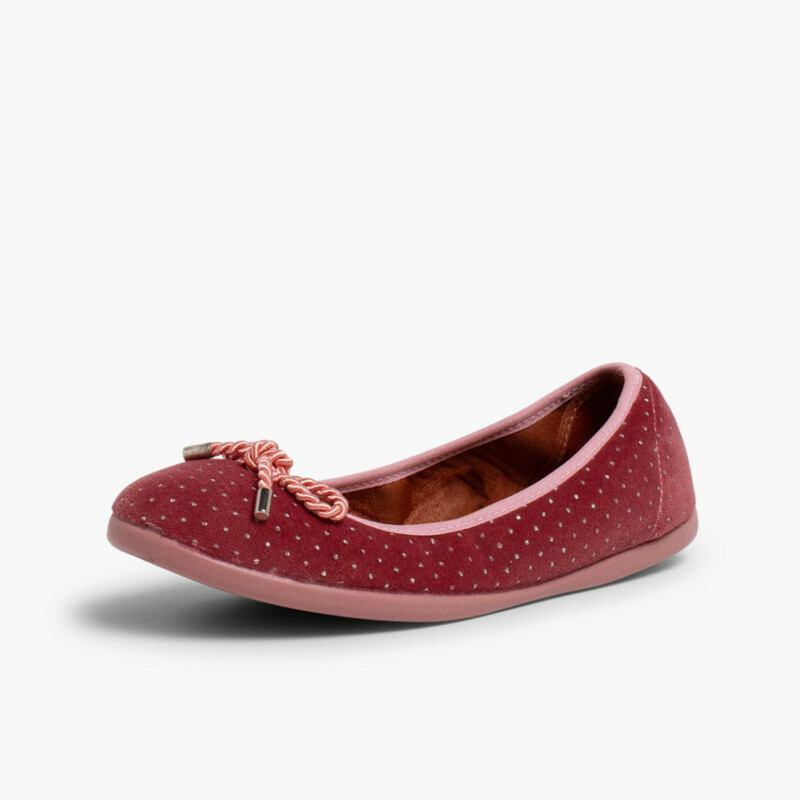 They are perfect to give you or your daughter’s look an elegant, modern touch and at the same time benefit from the comfort of ballerina shoes. 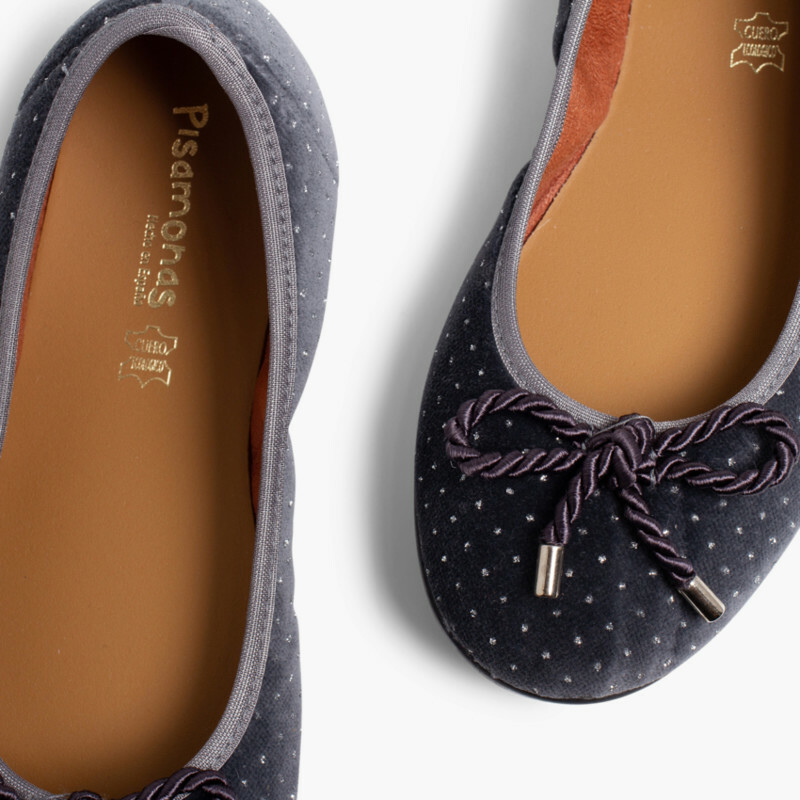 The bows as a finishing touch will make any look even brighter! 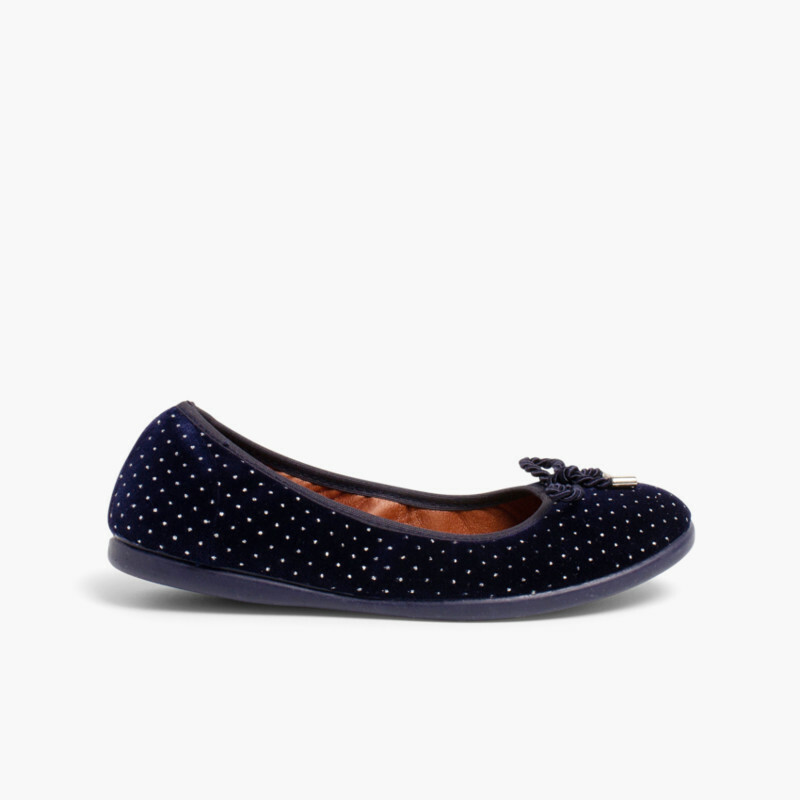 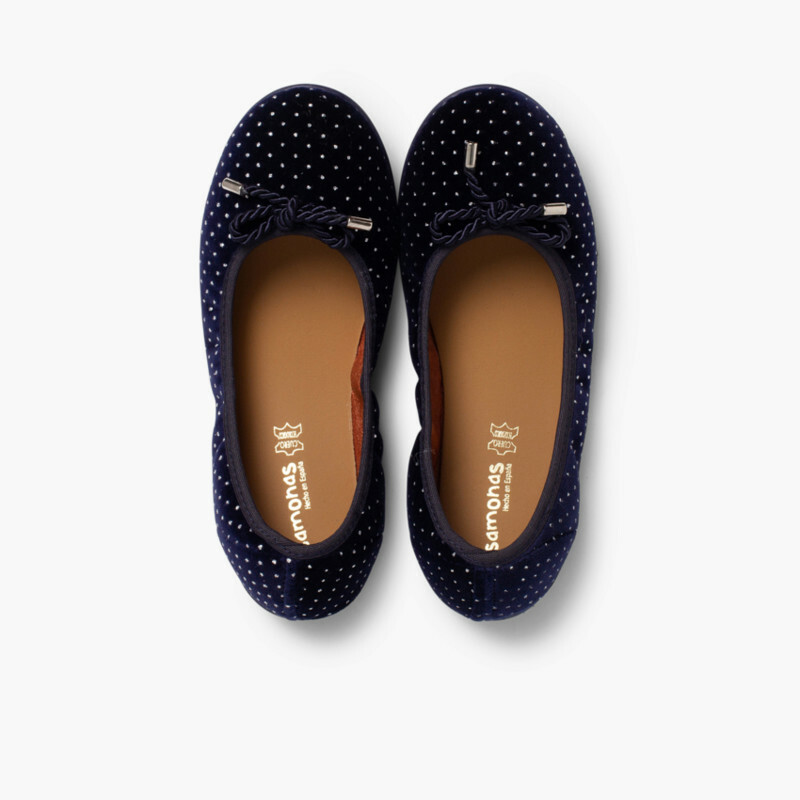 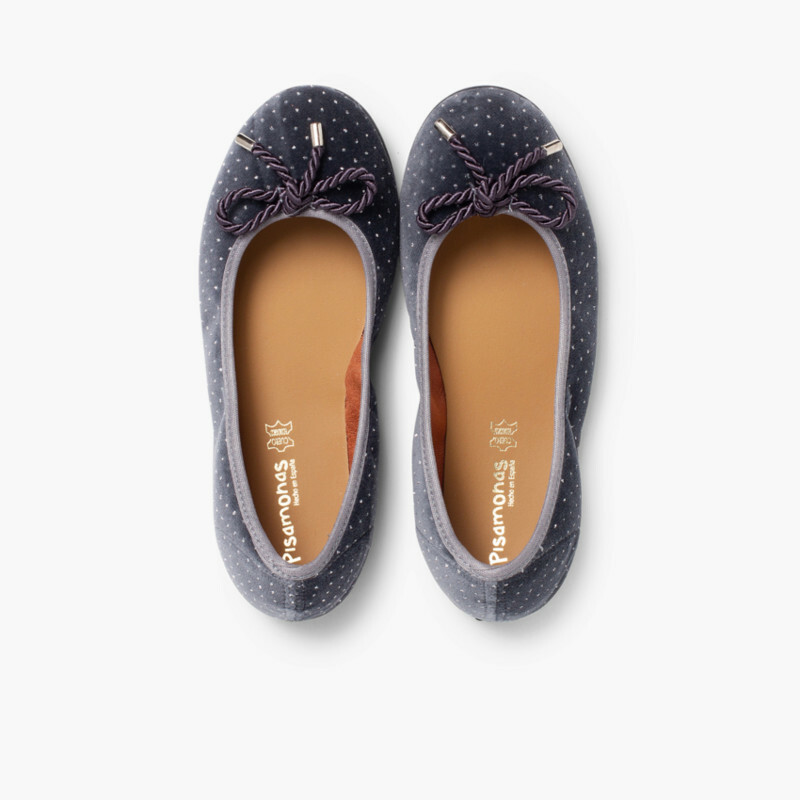 These girls’ ballerinas hoes are available in four colours, navy blue, grey, black and pink, so you can combine them with a wide range of autumn and winter outfits. 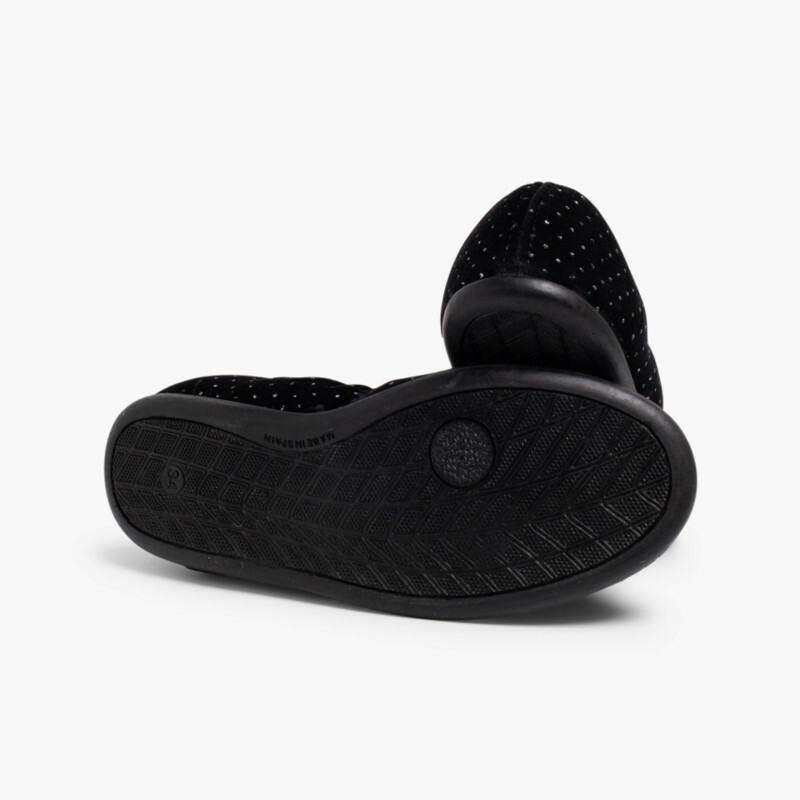 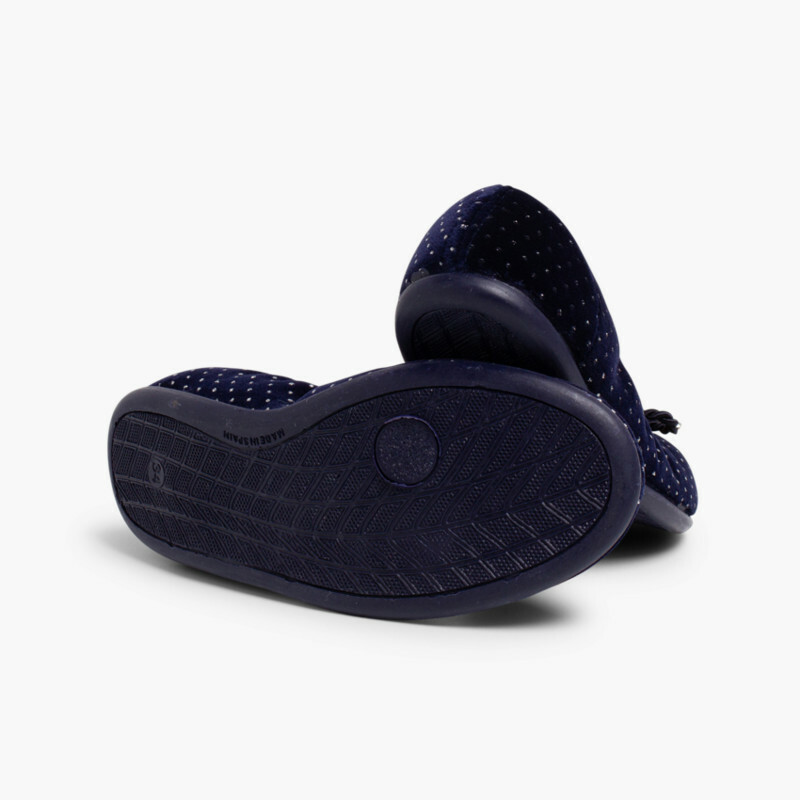 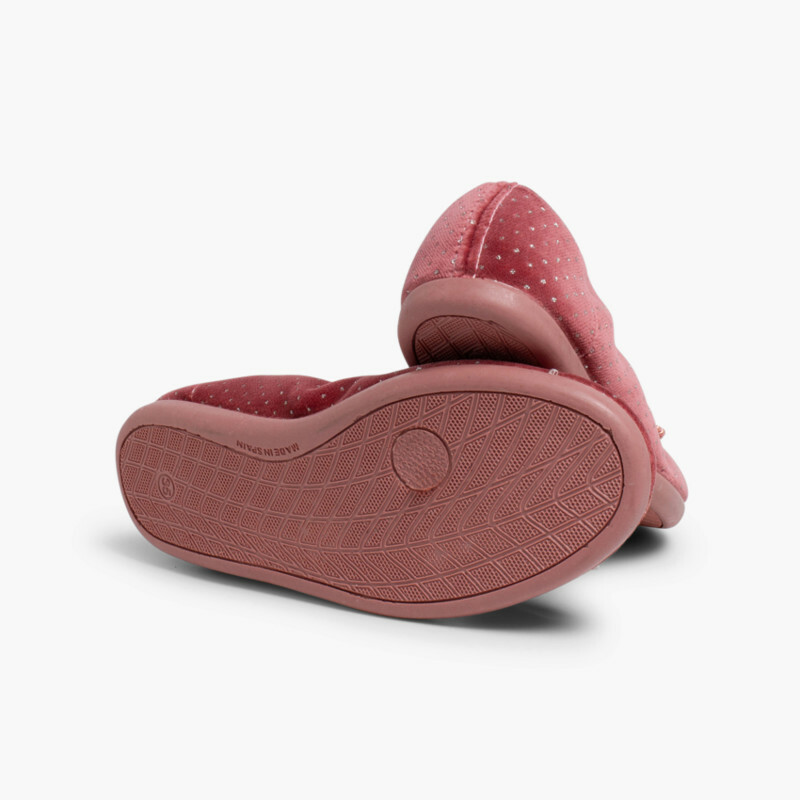 The soles also come in the same colour. 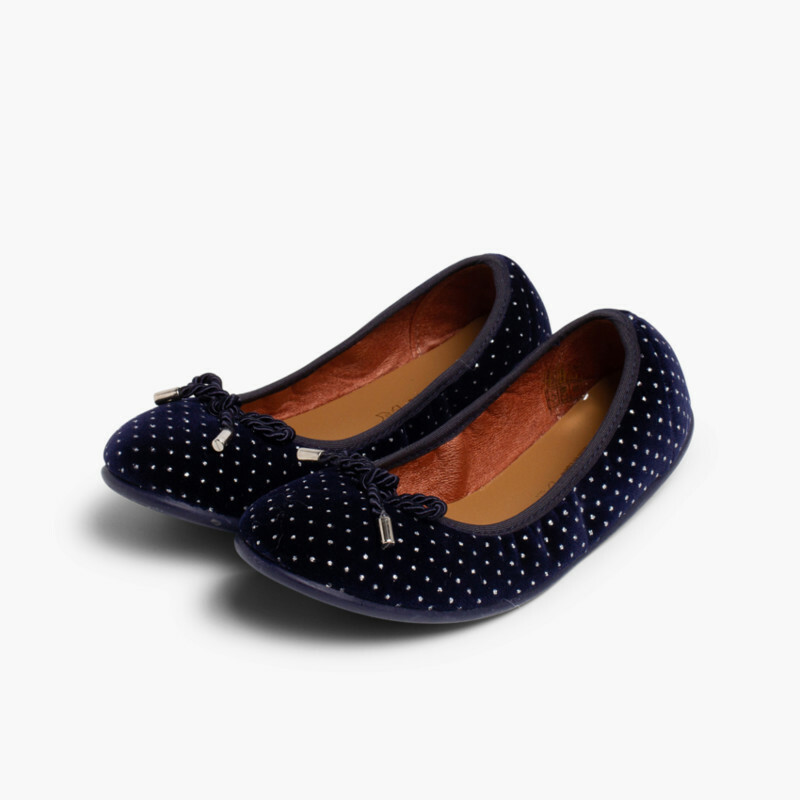 And if you want to be coordinated and go for the mummy & me look which is so fashionable, with this style you can do just that!